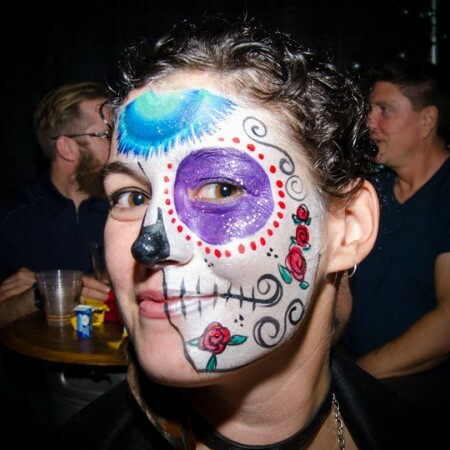 PENTICTON, BC – Bad Tattoo Brewing has announced details of this year’s Dia de Los Muertos (Day of the Dead) celebrations at the brewery, including the release of the latest vintages of two annual limited edition beers. As reported by The BC Ale Trail, this year’s event – taking place at the brewery tomorrow (November 1st) – will see the debut of the 2017 editions of Cerveza Fuerte and La Resurreccion. Packaged in 750 ml collectable bottles, and limited to 900 and 600 bottles respectively, the two beers will be available at tomorrow’s party – where the $40 admission includes a bottle of Cerveza Fuerte – as well as at select liquor stores in British Columbia while supplies last. For more details, see the Bad Tattoo Facebook page.